The ENTELEC Conference & Expo is also a great opportunity to network and build relationships with a diverse group of professionals from the petroleum, pipeline, natural gas and electric utility sectors. Whether it’s at the the welcome reception, the exhibit hall activities or the President’s reception, you’ll make new friends, see old colleagues and develop a network that will be a part of your career. Also, make plans to visit the ENTELEC Exhibit Hall. This is the largest gathering of vendor companies with specific communications and control technology solutions for the energy industries! More than 125 vendors are expected to participate at the 2019 ENTELEC Exhibit Hall. Many of these companies are also a resource with valuable information and knowledge on many industry issues and challenges. So much information in one place, at one time – you cannot afford to miss this showcase of the latest products and services available! Please register on-site at the George R. Brown Convention Center starting 4:00 pm on Monday, April 22, 2019. The ENTELEC Association is celebrating 90+ years of service and education for communications, IT/OT and network professionals in the energy sector. Join over 2,000 attendees and exhibitors as they converge in Houston, Texas at the George R. Brown Convention Center for the 91st Annual ENTELEC Conference & Expo. The World’s Premier Event for Communications and Control Technologies in the Energy Industries! *All Member registrations must enter their ENTELEC Membership Number in order to receive member pricing. For questions about your registration, please call 972-929-3169 x207 or by email at registration@entelec.org. Cancellations received on or before February 22, 2019 will receive a 50% refund. There are no refunds for cancellations after February 22, 2019. All requests for refunds must be made in writing to registration@entelec.org and are subject to a $35 processing fee. Alternate attendees may be named until April 17, 2019. No children under the age of 16 are permitted in the Exhibit Hall. All Exhibitors must register using their Exhibitor ID to receive your complimentary Booth Staff Badges that come with your Booth Space. If you do not have your Exhibitor ID, please contact Christi Jones at christi@entelec.org. ENTELEC, in its sole discretion, reserves the right to refuse admittance to any individual for any training program or technical session due to the proprietary nature of the content of the program or session. 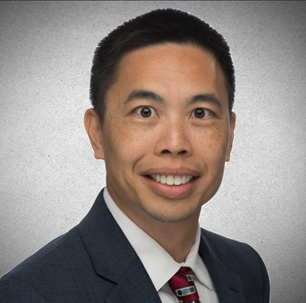 The ENTELEC Association is pleased to announce that Mr. Bobby Lee, Director of IoT Solutions at Microsoft, will serve as the opening keynote speaker at the upcoming ENTELEC 2019 Spring Conference & Expo. Continuing with the theme of Emerging Technologies in the Digital Oilfield, Mr. Lee’s presentation will address perspective and value for your organization in the digital transformation. What truly is an exciting, transformational time for Oil and Gas companies, now more than ever, the industry is capitalizing on digital transformation to increase operational efficiency across OT and IT. Moreover, Internet of Things (IoT) is a key driver but, what does it mean to digitally transform? How does Oil and Gas take advantage of the cloud? What are your peers doing in this space? Bobby Lee will discuss all this and more as he talks about digital transformation in a Cloud-first world for Oil and Gas. This industry is evolving—come be a part of that! Bobby Lee, Director IoT Solutions, role is to develop and grow the Internet of Things (IoT) business for Microsoft. He has spoken at several IoT conferences, discussing the transformational power of insight gained from IoT, how companies are evolving in this space, and how to stay steps ahead with innovation. He works directly with customers and partners to firm up and strategically execute on digital change with IoT at the forefront and AI realizing that value on the backend. The ENTELEC Conference is designed to provide a tremendous amount of networking opportunities along with the open exchange of ideas and information including receptions, luncheons, panel discussions and round-table discussions. Check the full schedule of events for all dates and times. Join us at Registration to grab a beer, network and pick up your badge for the show. This is a casual come and go time of networking, making sure you know where to go on Tuesday and taking advantage of a free beer! On Tuesday, the President’s Welcome Reception will kick off the networking activities at the 2019 ENTELEC Conference & Expo. The exhibit hall grand opening, president’s reception and welcome party are all combined into one great networking event with food, drinks and fun. You’ll have a great time and the opportunity to catch up with industry friends and colleagues while seeing a preview of the latest product offerings from the industry’s leading suppliers. After the second full day of education and training, Wednesday afternoon will feature a happy hour in the exhibit hall. Take this opportunity to relax a bit, follow up with vendors and see the latest product presentations and technology the industry has to offer – and grab a cold beverage and light snacks. Come have a drink, network and learn how to use your ENTELEC membership benefits to the maximum potential. ENTELEC has several volunteer opportunities available to members. This is your opportunity to find out how to plug in and get involved. Committee leaders from the ENTELEC Regulatory & Technology Committee, ENTELEC Technical Committee and the ENTELEC Scholarship Committee will all be on hand to answer your questions, give you a better understanding of what these committees do and help you get plug in. We invite you to join us at the 91st ENTELEC Conference & Expo, April 23 – 25, 2019, one of the most important conferences across the globe with a specific focus on communications, IT / OT and control technologies in the petroleum, pipeline, natural gas and electric utility sectors. Join an expected 2,000 executives and professionals as they converge on Houston, Texas, the heart of the oil and gas industry at the Energy Telecommunications & Electrical Association’s annual Spring Conference & Expo. Plan to engage, share and discover innovative technologies, conduct business and engage in complex and technical discussions aimed at driving the future of communications and information technology in the energy industry. New Technical Education Program with 30+ technical breakout sessions including panel discussions, case studies, roundtables and one on one discussion time. Technical session tracks include: SCADA and Data Analytics; Cyber Security / Physical Security; Controls & Automation / System Architecture; Networks / Communications Technology; and FCC / Regulatory Issues. New Industry Training programs from leading industry vendors such as Microsoft, Keysight, GE and Cambium Networks. Both the technical education and industry training programs are included in one low full conference registration price. The ENTELEC education program is designed to fit within your training budgets and the conference registration price allows you to bring your entire OT and IT team. The technical education tailored for executives but includes sessions and training applicable for 101 levels as well. New exhibitors joining the over 150+ vendors and suppliers displaying the latest industry technology and emerging solutions specifically for you and your organization’s needs. See the list of exhibitors below. Networking and Education have always been crucial components at ENTELEC and as the industry evolves and new technologies emerge, the conference is an excellent opportunity to engage and gain perspective, particularly as the digital transformation continues to accelerate. Experience the 2019 ENTELEC Conference & Expo and hear how innovative technologies are transforming Upstream and Midstream operations and adding significant value and efficiency to the organization. The ENTELEC Association is the leading resource for education and advocacy for the petroleum, pipeline, natural gas and electrical utility industries. ENTELEC also has the world’s leading conference for communications and control technologies in the energy industry. Get ahead and BUILD YOUR BRAND in the expanding energy technology marketplace. Don’t miss this once-a-year opportunity to meet senior level engineers and decision makers who are educated and motivated to see the latest solutions and experience the newest technologies available! For complete exhibit and sponsorship opportunities, booth availability and pricing information and the booth application, please contact Blaine Siske at blaine@entelec.org or call him at 888.503.8700 x203. The Exhibitor Service Kit will help with all your exhibit planning needs! Here you’ll find all the Official Contractor forms including booth furniture rental, electrical, Lead Retrieval, and much more. The ENTELEC Forms are included as well. View all of our Official Service Contractors and their contact information inside the Exhibitor Service Kit. If you have any questions regarding the Service Kit, please contact Christi Jones at christi@entelec.org. Badges Registered over your allotment will be charged $85 per registrant. If you have any questions regarding anything listed in the ENTELEC Exhibitor Service Kit, please contact Christi Jones at (972) 929-3169 x207 or Christi@entelec.org. ENTELEC's official host hotel will once again will be the beautiful Hilton-Americas connected to the GRB Convention Center. Discounted rates available until April 1, 2019, but rooms are first come first served and based on availability; so make your reservations today as our block fills up fast. Please note each reservation will be charged for one night as a deposit. Deposits will be refunded if the reservation is cancelled before April 19, 2019.